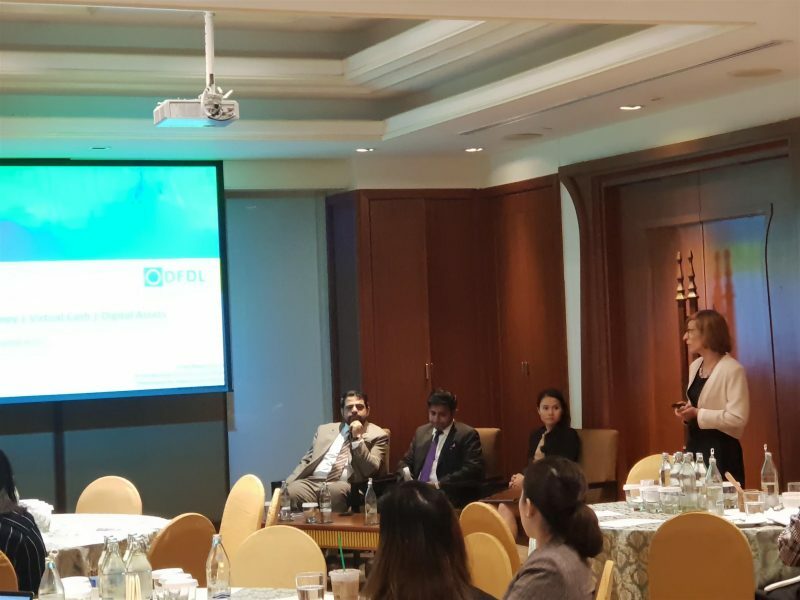 On 23rd August, Vinay Ahuja (Partner) along with Kunal Sachdev (Regional Legal Adviser) and Thamonwan Na Nakara (Legal Adviser), served as the keynote speakers at a seminar on “Electronic Money, Virtual Cash or Digital Assets – What are you dealing with?” at the Dusit Thani Hotel in Bangkok. The discussions revolved around the core issues facing financial services businesses operating in various sectors and the ability of such businesses to transact in digital currency. The financial services topics also included a discussion on payment systems, networks and services along with a detailed overview of e-Payment Licenses, e-Wallet Licenses and exemptions from licensing requirements under the Payment Systems Act. The DFDL team also discussed in detail the laws and regulations governing Digital Assets (Cryptocurrencies and Digital Tokens) and Initial Coin Offerings / Token Generation Events under the recently enacted Digital Asset Businesses law and subordinated regulations by the SEC. The insightful and thought-provoking session was well received by all of those in attendance. The morning session ended with an engaging Q&A session where attendees had the opportunity to have their concerns addressed and gain a clearer understanding of Fintech and the effects that it stands to exert on their own businesses in Thailand.